If you have missing teeth, dental implants are simply the best way to permanently replace them. But, are they right for your smile? 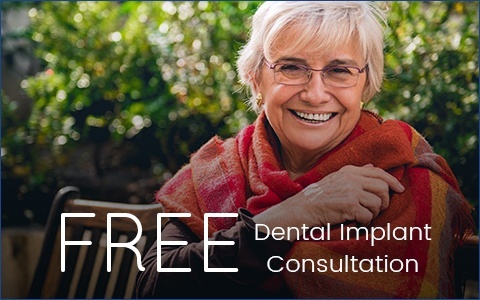 Now, we’ll make it easy for you to find out, because we’re offering a FREE dental implants consultation. You’ll meet with one of our doctors, they’ll let you know if dental implants are right for you, and they’ll even discuss how your particular treatment plan will work. It could be the first step to your completely new smile!